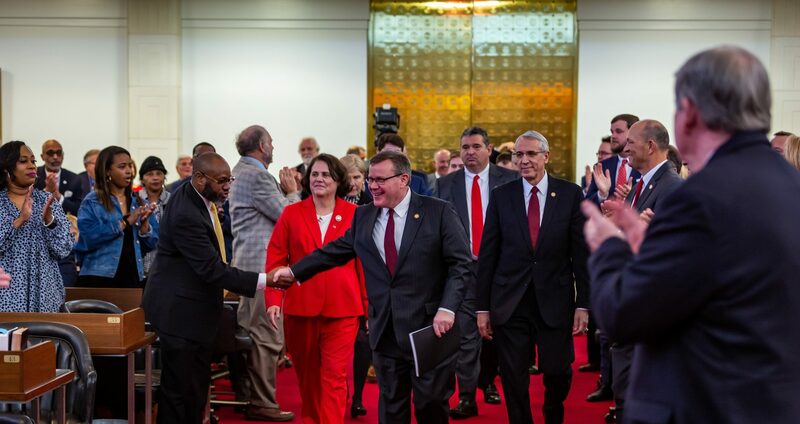 Raleigh, N.C. – Legislative leaders received a briefing from N.C. Emergency Management Division Director Mike Sprayberry on Monday at 12 p.m. and released details of the conference call to the public as preparations continue for Hurricane Florence. Lawmakers cancelled the Joint Legislative Transportation Oversight Committee and the Joint Legislative Oversight Committee on Justice and Public Safety that were scheduled Thursday, as well as the House Select Committee on School Safety that was scheduled Friday. 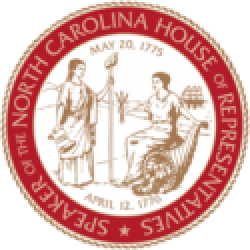 “I urge every North Carolinian to immediately prepare for Hurricane Florence, to help their friends, families and neighbors in need get ready for this storm, and to pray for the safety of our fellow Americans in its path,” Moore said. 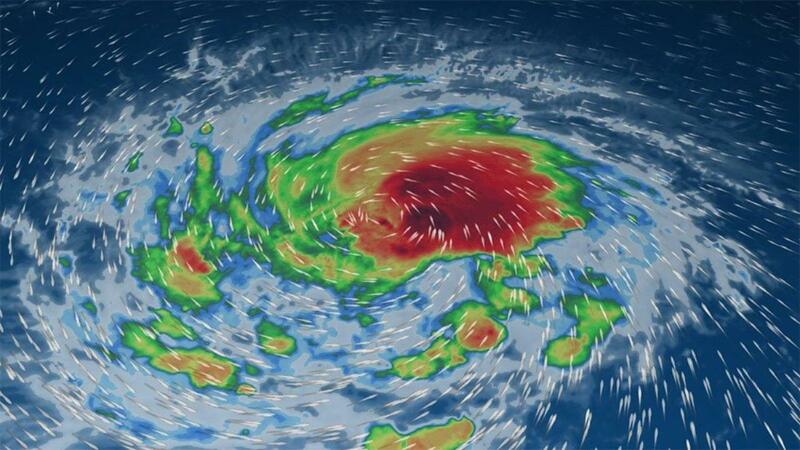 Hurricane Florence winds have reached 130 m.p.h. C. Emergency Management is coordinating preparedness and relief efforts with cities, counties, other states and federal agencies. Statewide threat assessments predict significant risks not only to the coast but to inland and Western North Carolina counties, where extensive flooding and landslides caused by torrential rain are a possibility. Torrential winds and rainfall will make it difficult for rivers in the eastern region to empty in to the ocean, especially from Moorehead City to Southport, N.C. . The state Emergency Operations Center is activated and 200 National Guard troops are also activated. Evacuations are already underway in Dare County and may begin soon in other Outer Banks and coastal communities. Brunswick, Pender, New Hanover, and Onslow counties are all having control group meetings about preparedness and potential evacuation planning today. Catastrophic winds will threaten not only coastal communities but inland counties as well. The earliest bands of tropical storm force winds will hit the coast by Wednesday evening, so residents and visitors should be prepared to leave the coast by early afternoon on Wednesday. North Carolinians should specifically take action to collect non-perishable food items and water, prepare safety kits, review local emergency and evacuation plans, clear yards of debris, gather and secure important items, download the Ready NC app, monitor state, local and federal agencies, and assist citizens in need, particularly those with limited mobility and resources. “We are activating and prestaging commodities in Kinston with overhead incident management teams,” Director Sprayberry told lawmakers on Monday. The state Department of Transportation and the State Highway Patrol are coordinating for potential evacuations to move smoothly. Food, water and shelter warehouses are being activated and stocked across North Carolina. FEMA has staged commodities in North Carolina including two urban search and rescue teams. Three state medical support center sites activated including Cherry Hospital in Goldbsoro. Emergency Management is coordinating with hospitals, which typically don’t like to evacuate, to evaluate all options in the coming days. Centers for Medicaid and Medicare services are providing data sets of at-risk populations to track them and prepare assistance measures. Energy companies – including electric co-ops and Duke/Progress, are being worked with to monitor power needs. Fuel supply is stable and waivers are in place to maximize availability, including for aviation assets. A request has been approved for nuclear regulatory commission representation at the state Emergency Operations Center as they monitor Brunswick and Harris nuclear plants in path of the storm. There are currently no unmet communications needs but the statewide interoperability managers are working with locals on communications contingency plans. High winds are absolutely a threat to tower infrastructure, especially along the coast, to the VIPER public safety communications infrastructure used by state and local public safety officials. There are no unmet needs for the state Department of Transportation at this time, as evacuation routes are monitored for traffic flow and the Highway Patrol set traffic control points for evacuation planning. The admiral in charge of east coast for U.S. Coast Guard has set port condition “whiskey” in effect, meaning they are on alert and haven’t made decisions. Ports are expected to close later this week. The ferry division is monitoring routes and adjusting and cancelling as needed. The Environmental Protection Agency provided representation to the state Emergency Operations Center to monitor sites like coal ash pits and hog lagoons, as well as nuclear plants. The Governor’s Executive Order 52 will help move livestock and crops as needed. Emergency Management is requesting President Trump to extend a federal disaster declaration as soon as possible. The Emergency Management Division is working to establish a legislative response team at the Emergency Operations Center for rapid response to elected officials. The state’s evacuation and sheltering plan is under activation so counties in coastal regions have partners in central parts of North Carolina to evacuate to, a program where local governments are reimbursed for the shelters, 75% by the federal government and 25% by the state. The track of Hurricane Florence has not waivered, it appears by the models that North Carolina will receive the brunt of the storm’s landing between Wilmington and Carteret County later this week.